Summer is almost coming to a close, but I’ve still got major vacation vibes coming your way. 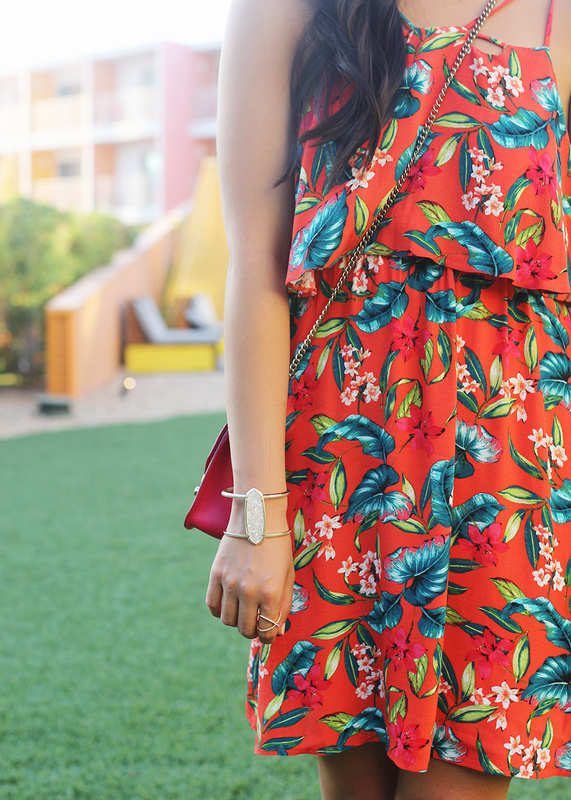 I mean, how could you not feel like you’re on a tropical vacation in this dress? I wore it first for my birthday dinner in NYC, but felt truly in my element when I brought it with us to Palm Springs. 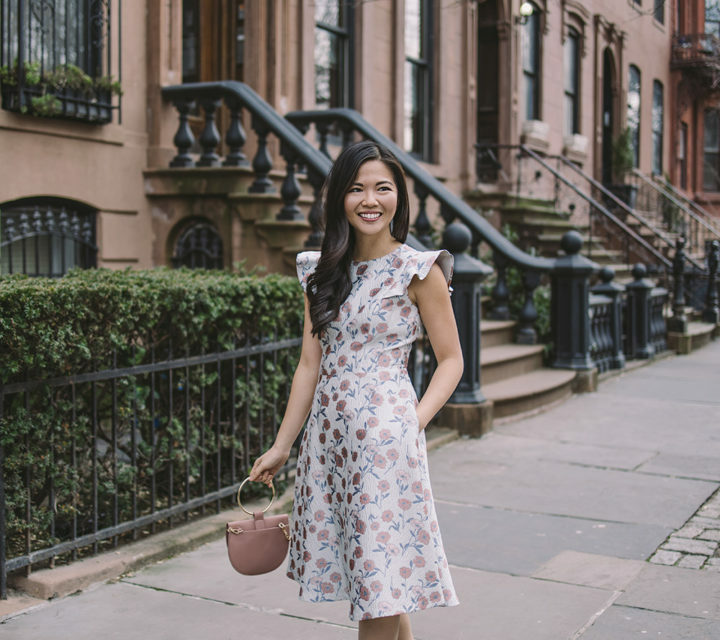 I’ve been all about vibrant colors and prints for summer and am already starting to devise a way to incorporate that aesthetic into my wardrobe this fall. Love this dress! The print and colors are so pretty. Beautiful photos too!! 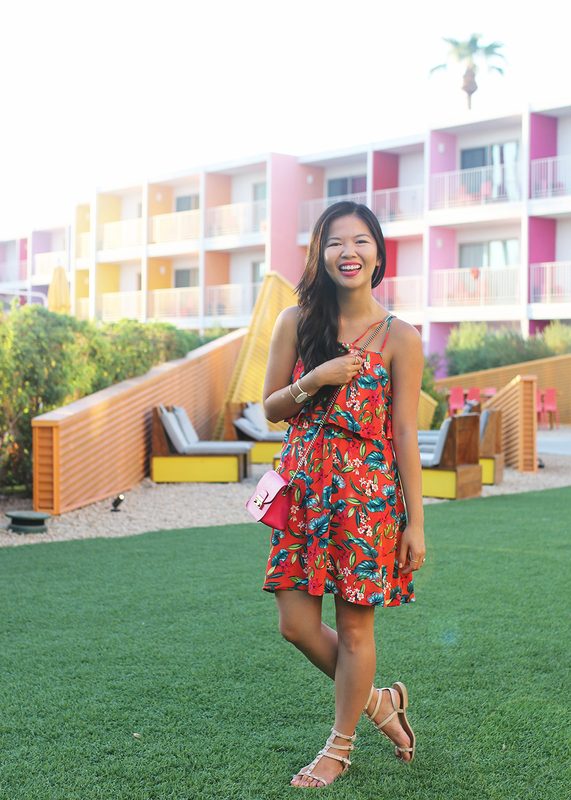 Such a pretty and colorful dress for summer! 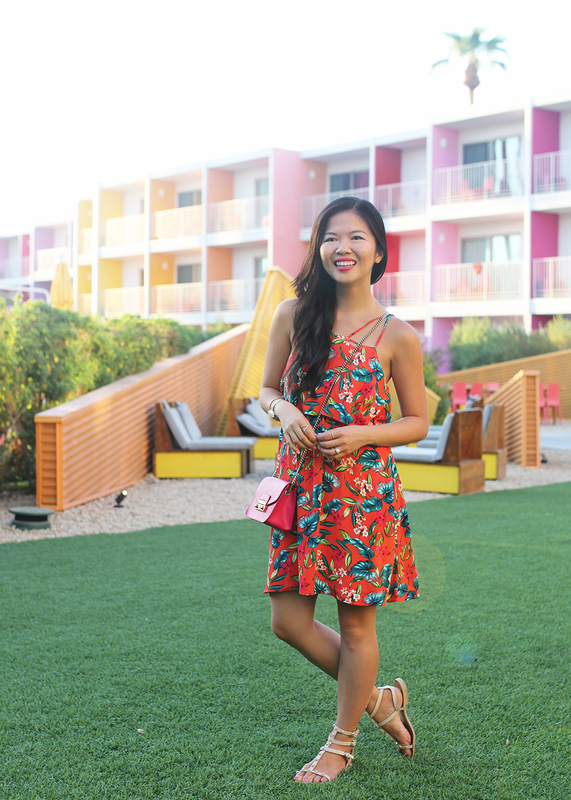 Such a cute dress and perfect for any getaway!! I love the mini bag that you paired it with! Hope you had a great vacation! Love that orange floral dress on you, brilliant with the pink bag and perfect flats. Wat an ideal summer holiday dress! Fabulous! Furla’s are so underrated – you look fab!